On Sunday the new Province of Sudan will be inaugurated by the Archbishop of Canterbury in Khartoum. This brings the total of autonomous provinces in the Anglican Communion to 39. The Diocese of Leeds has had a partnership link with Sudan for nearly forty years, and Archbishop Ezekiel Kondo was over with us in Leeds in March/April this year. That’s why I am going. The reason for the creation of the new Province is this. The Episcopal Church of Sudan covered the whole of the original country. When South Sudan separated just a few years ago (2011), the single Church eventually created an internal province for Sudan. What is happening on Sunday is the natural (and necessary) consequence of the creation of separate countries. Given Sudan’s drive to have one nation, one faith and one language – Sudan, Islam and Arabic – and to guard its own integrity over against the seceded South Sudan, relations between church and state might actually become clearer and better: a church for Sudan. More anon. We leave Heathrow soon. At its creation at Easter 2014 the new Diocese of Leeds inherited a number of international partnership links. Three years into the new diocese, I invited our link bishops to visit this diocese for a week of retreat and conversation that might help us discern the potential (or otherwise) of our links. The Bishop of Leeds invited bishops from the international partnership links (inherited from the historic dioceses of Bradford, Wakefield and Ripon & Leeds) to convene in Passiontide at Parcevall Hall for a retreat. The Archbishop of Khartoum (Sudan), the bishops of Mara (Tanzania), Colombo (Sri Lanka), Faisalabad (Pakistan), Southwestern Virginia (USA), Skara (Swedish Lutheran) and the Superintendent of Erfurt (Germany) spent five days with the Bishop of Leeds and the suffragan bishops of Bradford, Huddersfield, Richmond, Ripon and Wakefield. In a context of prayer, worship and deep fellowship the bishops took time to explain the cultural, social and church/missional contexts in which they serve and the polities of those churches. This formed the bedrock of deeper exploration of biblical theology, hermeneutics, prayer, spirituality, discipleship and ethics as seen and understood in their particular context. Recognition of the differences that threaten to divide Anglicans from one another sat within a deep commitment of mutual friendship, fellowship and love. Conversations were characterised by honesty, generosity, grace and genuine attentiveness. to set up conversations to explore the potential for optimising multilateral partnerships where possible. The bishops further resolved to meet again in Leeds prior to the Lambeth Conference in 2020. We finish tomorrow before visiting the Archbishop of Canterbury on Monday. One of the partnership links enjoyed by the Diocese of West Yorkshire & the Dales is that developed over thirty years with the dioceses of Sudan. The Bisho of Khartoum and Archbishop-elect of Sudan, Ezekiel Kondo – a wonderful, wise and brave man – has issued a statement about the death sentence passed under Sharia law on a Christian woman who is pregnant with her second child. On Thursday 15th. May 2014 in Haj-Yousif Court, Mariam Yahya was sentenced to death and 100 lashes for changing from being Muslim to Christian and for commiting adultery because she is married to a Christian man. Mariam Yahya Ibrahim Ishag was born from a Christian mother (Ethiopian Orthodox) and a Muslim father. Her father left them when she was age 6, and she was raised by her mother as a Christian. Mariam is married to a Sudanese/American Christian husband. Mariam was sentenced to death for converting to Christianity simply because her father was a Muslim. The fact is that Mariam has been a Christian since as she was brought up by her mother who has been a Christian. According to the report, Mariam, the husband and their son were all arrested because they had changed their religon, but then, the husband was released, Mariam is sentenced to death and 100 lashed for her adultery because she accepted to marry a Christian man. Their marriage is revoked. Now, Mariam and her son are in prison until she gives birth, then she will be excuted. 1. According to the above, Mariam has never been a Muslim since her birth. The fact that she was born from a Muslim father, this does not make her a Muslim in any way because she was brought up by her mother as a Christian. 2. The verdict reached by the court on Mariam is a clear and direct perscution on Christians and the Church in the Sudan. 3. The verdict on Mariam Yahya is a Human Right and Religious violation against Christians in the Sudan. 4. This sentence is even against Sudan Constitution 2005 Article 38 on Freedom of Creed and Worship. “Every person shall have the right to the freedom of religious creed and worship, and to declare his/her religion or creed and manifest the same, by way of worship, education, practice or performance, subject to requirements of the law and public order, no person shall be coerced to adopt such faith, that he/she does not voluntarily consent”. 5. There is again another court case going on right now in Kalakla, Khartoum, of a young man who has been accused of being converting from Muslim to Christian according the Almeghar News Paper of today 21st May 2014. 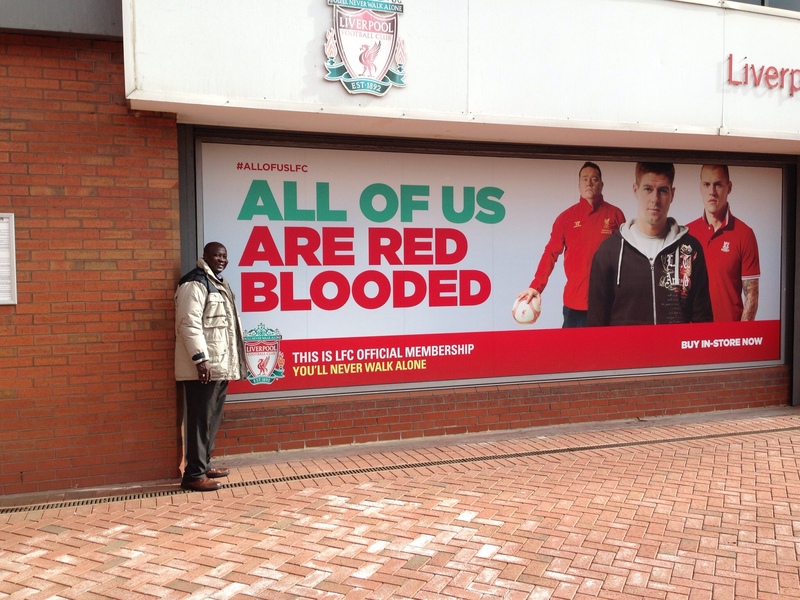 This young man may face the same fate as Mariam did. Episcopal Church of Sudan Internal Province hereby condemns this court decision and requests the Ministry of Justice to review the case of MariamYahya and release her immediately. She is free to believe in religion of her choice. 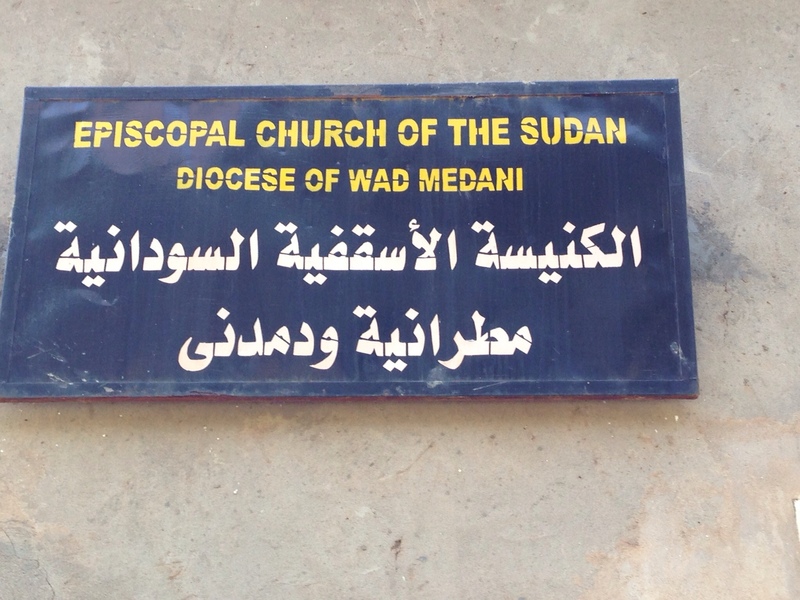 Episcopal Church of Sudan also requests the authorities in Kalakla to free the young man. The last judgment on the faith should be left to God alone. The spirit of dialogue, coexistence and love that the President of the Republic called upon should be upheld. The Diocese of Bradford is currently hosting the Bishop of Khartoum, Sudan, as we celebrate 30 years of a diocesan link. Talking with the bishop over the last few days about the situation facing Christians in Sudan, I keep asking myself the question why a red line has been drawn in Syria, but not in Darfur? President Bashir has been indicted by the International Criminal Court in The Hague, yet the West has not threatened to carry out surgical strikes against those Sudanese military installations that continue to commit murder on a massive scale. Why not? What is the moral difference between Syria and Darfur/Sudan? These questions arose not just from conversations with the Bishop of Khartoum, but also from a service in a Bradford parish church this morning. Church – particularly the Church of England – frequently gets a bad press, yet where else can you find a community of people who consciously belong together, deliberately question their own way of life, dig deep into the stuff of their souls, wrestle with how personal commitment (discipleship of Jesus) connects with (or leads to or derives from) stuff like Syria, Darfur, and so on? Where else do you get this corporate soul-searching in a context of music, silence and attentive listening? What other group brings together (by choice) people of different social strata in one place where attention is paid to looking at the self and beyond the self, encouraging commitment and perseverance, challenging complacency and hypocrisy? I think we easily overlook just how remarkable this phenomenon is. A congregation thinks of today's routines in the light of the eternal and the global. It hangs on and lives with uncertainty and unresolved questions. Yet, it does so with hope – not wishful thinking, but the hope that derives from “hearing amid the cacophanies of the present the music of the future”. Anyway, the point I was musing on with the congregation this morning was that when Jesus invited people to follow him, he insisted that they did so with their eyes open. This journey would be no walk in the park, but would throw them together with people they wouldn't choose and might not like – but by following him they would deny themselves the option of choosing company that was convenient to them. Pulling together a passage from Jeremiah (18:1-11) and Luke (14:25-33), we noted that Christians are to be people who, having received the generosity of God, are bound to live generously. However, they must also live out the habit of recognising failure and choosing to change – personally and by feeding the hungry, caring for the destitute, and so on. And when it seems that, in Jeremiah's language, the potter's clay gets messed up and has to be broken and re-thrown, this is not the end of the story. According to the biblical narrative, (and in the words of Amercian Fransiscan, Richard Rohr) “everything belongs”. Nothing of our life is wasted. The broken bits get collected up and re-worked into something both beautiful and useful. Yet, this should not be easily romanticised: it is painful and hard, and impacts on the emotions, the psyche, lifestyle and self-esteem. This is what church does. It creates a space in which deep examination and questioning can go on – both of the self and of the world we live in. And it opens up the possibility of motivating a community of people who seek to see the world changed, but starting with themselves. This is the humility of repentance. And it compels us not to lose hold on the hard questions about self and Syria, the local and the global, the temporal and the eternal. It is also hugely enjoyable. I arrived in Roanoke, Virginia, last night after a long couple of flights from Manchester. The Diocese of Bradford has a longstanding link with the Diocese of Southwestern Virginia and I am here (with a couple of colleagues) for the ordination/consecration of the new bishop tomorrow. I came here for the first time in January 2012 to get to know the diocese and attend the annual Diocesan Council (equivalent to a diocesan synod in England). So, it is great to meet such wonderfully gracious and hospitable people again so soon. Of course, this also offers a further opportunity not only to learn about The Episcopal Church (the Anglican Church in the USA), but also to look though its lens at the context I work in in England. If anything, the visit and all the encounters and conversations reinforce the lesson I learned at the Lambeth Conference back in 2008: a bishop is not a bishop is not a bishop. A bit obvious, you might say, but the common language we use can easily shape our assumption that the same words in the different contexts (and church polities) refer to the same thing. They don't. For example, this morning I attended a media round-table discussion between the Presiding Bishop of TEC, the outgoing Bishop of SWVA and the bishop-elect. 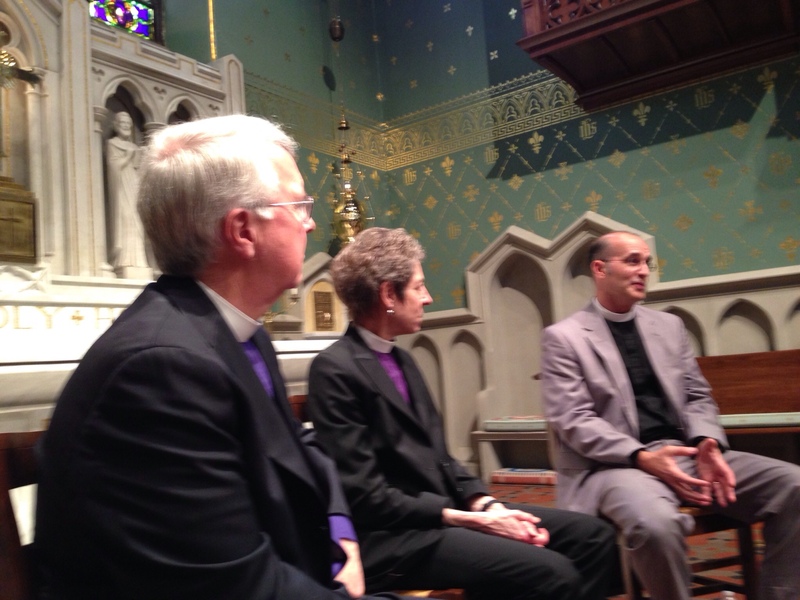 The discussion revolved around how the church is changing as society around changes. For example, depopulation of some areas – largely down to urbanisation – renders some churches too small to sustain stipendiary ministry and the local churches have to try to adapt accordingly. The role of the bishop here was successively described in terms of a 'pontifex' – a bridge builder and connector of people and places as together we discern the will and call of God. They talked about how to maintain presence as some places decline in population or the demographic becomes more impoverished financially. And here lies the interesting bit – for me, at least. When they speak of 'parish', an Englishman needs to hear 'church'. An English parish is geographical and demographic: every blade of grass in England grows in an Anglican parish and a vicar is the vicar of the parish, not the chaplain of a congregation. This means that the English parish demands church engagement with civic society, politics, local community and services, people of all faiths and none, and ecumenical obligation. That dynamic does not exist here in anything like the same way. Add to that the fact that the individual parish is responsible for appointing and paying the priest, and we see the discontinuity in the reality behind the common terminology. Hence, the Church of England's parish share system (by which parishes take common responsibility for mission and ministry across the diocese – the wealthier paying more and the poorer paying less) has no equivalent here. And this means that deploying clergy across a diocese is a very different exercise here from in Bradford. Naturally, this has other consequences. The role of the bishop is not the same as the bishop of a diocese in England where the Church is 'by law established'. Put me and the Bishop of SWVA together with the Bishop of Khartoum in Sudan – our third mutual partner – and we discover that, as I crudely put it, a bishop is not a bishop is not a bishop. Context, history and polity directly shape understanding, ethos, relationship (of clergy to bishop and bishop to people) and practice. This observation might seem to be what Monty Python calls “the bleeding obvious”. Yet, the obvious isn't always obvious until you look your counterpart in the eye, listen to the language she uses, and ask to what the terminology actually refers. This is an exercise in translation – of words and culture – and it is neither obvious, nor easy. Some people in the USA who do not buy into the environmental sustainability agenda are finding that expanding poverty is challenging their perception: especially the connection between food, the earth, climate change and migration and their impact. 'Inclusion' has traditionally been used in the church to refer to whom 'we' might wish to include, whereas increasingly we are moving into a world in which 'we' will need to ask who will include us. Clergy a responsible for pastoral discipline, catechetical teaching and associated sacramental provision; their leadership role brings these responsibilities with it and it must be taken seriously as well as creatively. 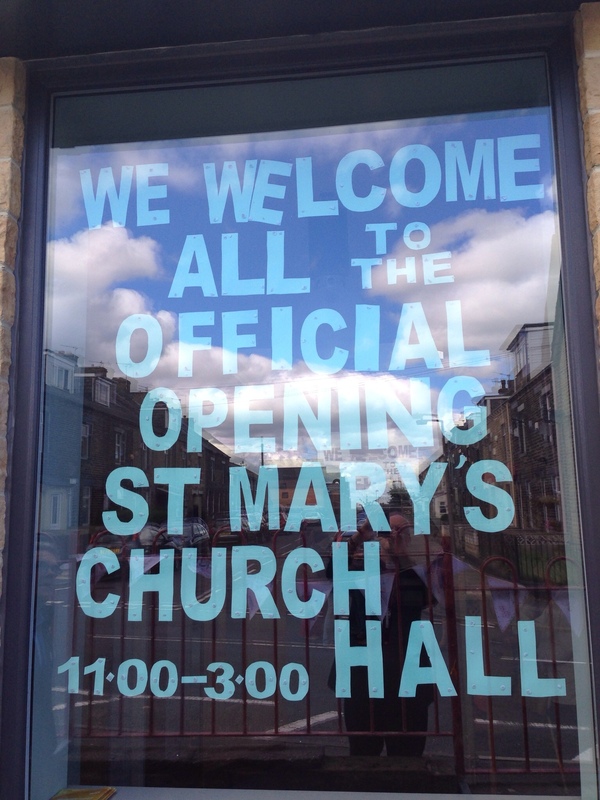 How are 'parishioners' to learn about and understand their place and role in the wider community of the church and not just the local expression of it? Anglicans are – according to their basic ecclesiology – not congregationalists; but, if that is de facto the culture and polity of the TEC expression of the Anglican polity, what are the implications for the church's self-understanding (to say nothing of its mission)? A final observation that I need to think further about. The Presiding Bishop was clear in a couple of contexts that the church must move to become less hierarchical and more connexional (in the sense of being horizontally networked rather than up-down managed/directed. She also suggested that this is “where the Spirit is leading us”. This echoes some of the discourse in the UK with Fresh Expressions and its assumptions about English societal trends (assumptions I still think are partly questionable). Yet, the bit that struck me was not whether or not this is where the Spirit is leading the church, but who is meant by 'us'. England is not the USA (for reasons I mention above) and the English parochial system is still essentially 'communal' rather than 'associational'. In other words, 'place' matters to us. When other denominations close down and move out of some of the hard places, the Church of England cannot. Supported and often financed through the diocesan parish share system, presence and engagement are sustained for the sake of the local society and the church's commitment to worship, evangelism and service locally. Buildings are retained where this is sometimes costly and hard to do. Clearly, all this is contingent on other commitments that are integral to and inherent in English Anglican ecclesiology (and, yes, I do realise that there is a certain apparent tautology in that phrase). The American dynamic and polity are different. This is not to say that the Church of England has it right over against the TEC model – or vice versa; it is to recognise that each brings its own questions, dilemmas and opportunities. However, it also makes clear that we are not comparing like with like – even when we use the same language to describe different phenomena. We live in different worlds, but in the same world. And that is why such diocesan partnership links are so important not only to the Anglican Communion, but also to the wider Christian Church. When we look at the Episcopal Church in Sudan (ECS) through the lens of TEC or the C of E, or TEC through the lens of ECS and the C of E, or the C of E through the lens of TEC and ECS – especially where all three are held together in conversation and committed relationship – we learn (a) just how difficult translation is, (b) that the contingent challenges and opportunities are complex, and (c) that we need each other to provide those lenses without which we become easily and arrogantly self-justifying.